You’ll want to grab your friends and family for a very special shopping experience. 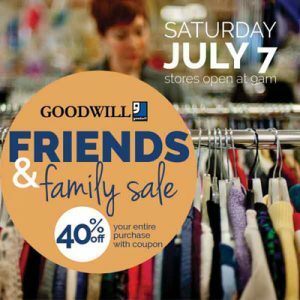 That’s because on Saturday, July 7, Goodwill Industries serving the Mahoning and Shenango Valleys will offer 40% OFF your entire purchase with its Friends & Family Sale. To receive this special discount, you’ll need a Friends & Family Sale coupon, available in-store or downloaded here. Click here to download the coupon. The sale applies to both new and donated merchandise. All eight Goodwill stores will be participating with doors opening up at 9:00 am. The first 25 customers (18 & older) at each store will receive a $10 Goodwill gift certificate! As always, purchases made at Goodwill Industries goes to support the wages and benefits of hundreds of employees in our community and fund much needed mission services. 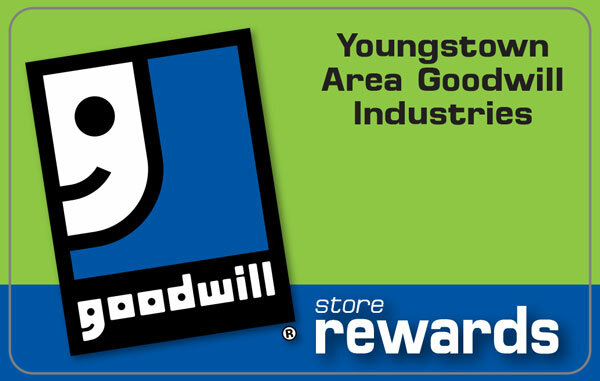 To find a Goodwill store near you, click here www.GoodwillYoungstown.org.